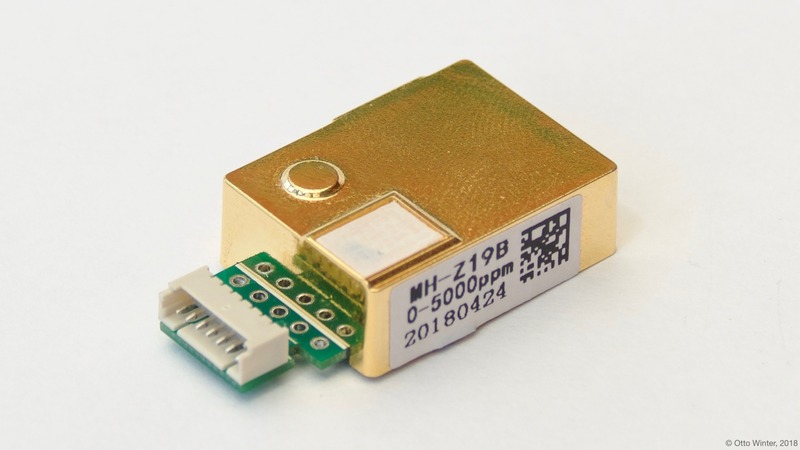 The mhz19 sensor platform allows you to use MH-Z19 CO_2 and temperature sensors (refspace) with ESPHome. MH-Z19 CO_2 and Temperature Sensor. 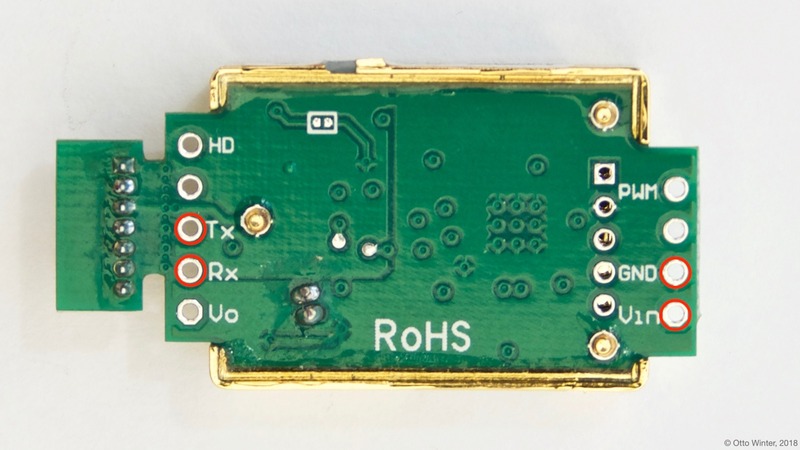 As the communication with the MH-Z19 is done using UART, you need to have an UART bus in your configuration with the rx_pin connected to the TX pin of the MH-Z19 and the tx_pin connected to the RX Pin of the MH-Z19 (it’s switched because the TX/RX labels are from the perspective of the MH-Z19). Additionally, you need to set the baud rate to 9600.
co2 (Required): The CO_2 data from the sensor in parts per million (ppm). name (Required, string): The name for the CO_2 sensor. temperature (Required): The information for the temperature sensor. Please note that this is not officially documented in the datasheet and seems to be quite inaccurate. Pins on the MH-Z19. Only the ones marked with a red circle need to be connected.